Resources for grape growers including fact sheets, videos, and apps on the topics of trunk diseases, soil health, pesticides, mildews, and more. 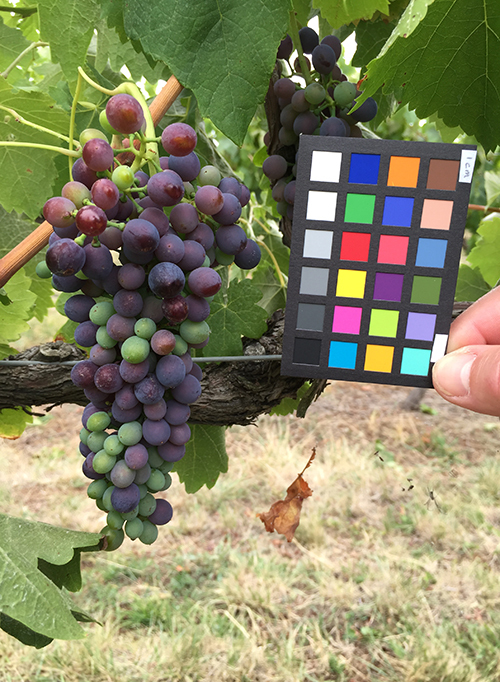 This app funded by Wine Australia is a National Wine and Grape Industry Centre (NWGIC) project at Charles Sturt University to analyse images of grape bunches by giving an approximation of the berry size and colour/hue. With this information, wine growers can track how the colour and the size of their grapes have progressed over time. 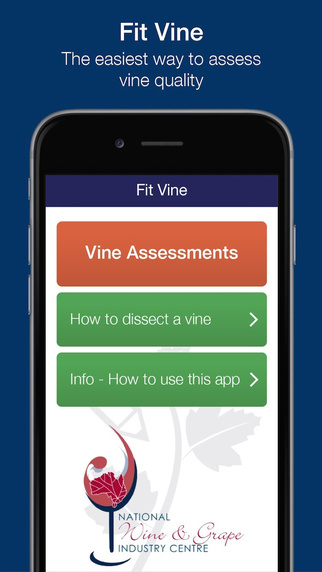 Fit Vine helps you assess the quality of vines before you plant them. Avoid planting sub-standard or diseased vines that will impact your bottom line with Fit Vine. Developed by the National Wine & Grape Industry Centre, Fit Vine is quick and simple to use, requires no special training or knowledge and can be used outdoors in the vineyard. A pair of secateurs (pruning clippers) is all you need. Bunch rots have long been associated with losses of grape yield and reductions in wine quality in vineyards. Their correlation with particular climatic conditions, namely warm temperatures and high moisture, and grapevine growing stages, can influence infection and affect yields. Fruit splitting is the bursting, cracking or rupturing of the berry skin. It is typically associated with rainfall events that occur during berry ripening. Splitting is an important industry issue because it impacts on both grape yield and quality. When there is significant rain during the harvest season splitting and disease have a major impact on the volume and quality of the fruit crushed, and as a result can dramatically reduce financial returns. Each season, NSW Department of Primary Industries releases an essential resource for viticulturists, the Grapevine Management Guide, with topics including weather and climate, disease, pesticides and chemicals, and more.